A multinational integrated energy company will start building its new national headquarters. 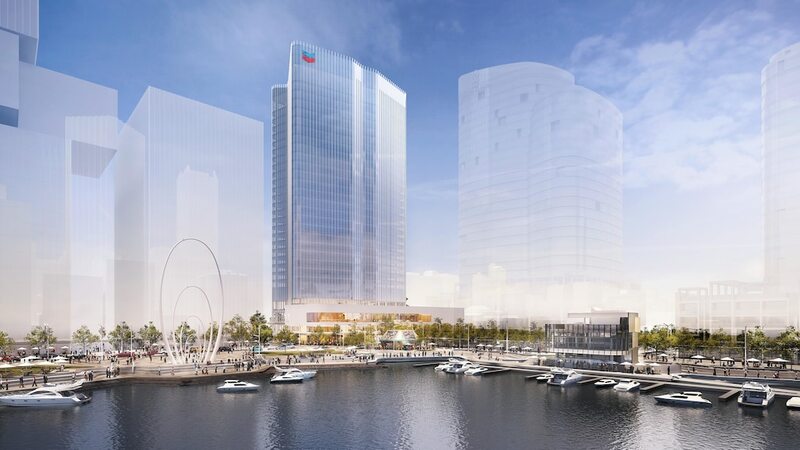 Chevron Australia has received the green-light to proceed with its new 30-storey Chevron Office Tower in Perth’s CBD. The Metropolitan Redevelopment Authority granted development approval (DA) for the $360 million development on Lot 7 at Elizabeth Quay, on the corner of The Esplanade and Barrack Street. The multi-use tower will feature more than 52,000 sqm of office space including a lobby, exhibition spaces, conference facilities, childcare area, gym, retail shops, cafés and restaurants. The Central Perth Land Redevelopment Committee said the tower’s unique architectural design and a mix of commercial, dining and entertainment, retail and community land uses will complement the Elizabeth Quay precinct. “We welcome the news that after a number of years Chevron Australia’s development plans are gaining momentum and we can move forward with delivering a vibrant, activated precinct,” WA Planning Minister Rita Saffioti said in a public statement. Brookfield has been appointed as development partner since June 2018 and will mobilise up to 1000 construction workers throughout the development process, the bulk of which officially starts in 2020.